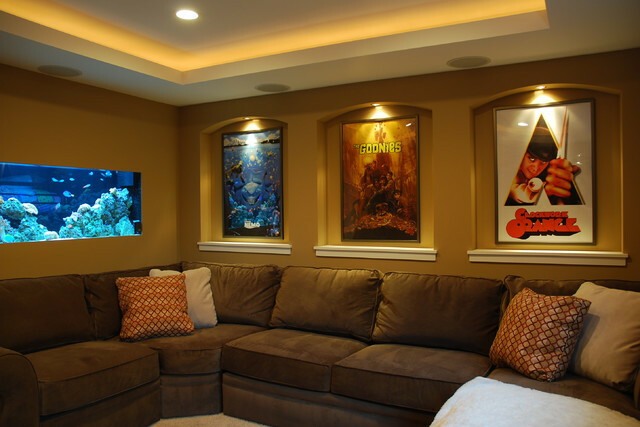 This home theater is gorgeous, no doubt, mainly because of the ceiling and wall lights. The designer has tried to combine and match a number of colors including white, red, navy blue, light blue, yellow, cream, beige, and brown. They have used lights to add glamour and class to the wall deco elements.